Rio Marchello, 19 Nov 2018Hi! I will answering your question, below on your question : 1. I've purchased 64 GB memor... moreMine is black color PadFone S. I've checked with my network provider. At the moment, there are few available frequencies such as 900, 1800, 2100 and 2600. I found out on GSMarena that lowest band for Padfone S is 700. I have updated my phone to Android 6. Is there any updates available so my phone could detect network signal again? To see no signal bar shown up there with symbol X making me so frustrated. 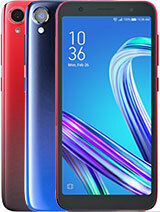 Nick , 13 Nov 2018Anyone ever think that padfone succesor should go head to head with galaxy flip-screen phone?? ?Yes I want it, i will purchase it anyway if they care about this series. 1. I've purchased 64 GB memory card and placed it in the phone, hoping I could transfer/install some of the apps. But I couldn't find any options to do that, meaning to say I must install all apps into phone memory and only store other files such as images and audio file to the memory. Anyone here successfully installed their apps to memory card? 2. I've noticed I'm having issue with the network signal. I believe Padfone S is a 4G smartphone, but after 2 weeks using it I could see sometimes the network signal not available (cross/x symbol without signal bar). Sometimes it will show full bar signal but 4G symbol changed to E or H+ most of the time. When this happen, it impossible for me to surf Internet because I keep getting error 'Your Offline' or something like 'DNS Probe error' appeared on Google Chrome browser. I did some basic troubleshooting such as switch to flight mode, remove the SIM card, manual network selection, reset network settings, etc. Still, no positive outcome. -What type of Padfone that you have? the white color has different and better 4G band afterall, and the black version has smaller band so it might be difficult to identify your network problem. 3. Is it normal this phone will become very very warm even if there's no heavy usage? I almost dropped the phone because the back of the phone became very warm after I took it from my table. -Yes it's very common, the placing of SoC is very close to the battery and it is the main case of this issue. But don't force your phone to work harder than usual, it affect the battery life cycle and may cause battery defection in short term use. Anyone ever think that padfone succesor should go head to head with galaxy flip-screen phone??? I forgot to mention, network coverage is absolutely fine for my location. I never had any issue if I placed the same SIM card in other phone which is Honor 4C. But for my Padfone S, I always need to restart or switch flight mode whenever I see no signal abr appear. So I don't think this is related to network issue. Should I try other troubleshooting for my Padfone S? I just purchase this phone 2 weeks back. There are few questions I would like to ask here, especially to those who are using this Padfone S previously (and still using it now). it been 3 month already since i use this phone and still good as new, no lag, good for playing games, browsing and many more but the battery are not very good. I still use this phone. Although sometimes feels slow but all applications can still run normally. The beautiful screen, the complete specifications and the nice rear camera keeps me from buying a new phone. 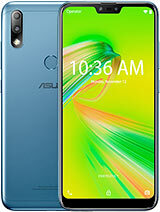 But when asus introduced ZenFone 5 / 5Z I think this could be a worthy successor. AnonD-754970, 26 Apr 2018This phone is still great. You can go to cellunlocker.net and get a network unlock (I just di... moreJust don't get the Mini. That device is really slow. This one isn't blazing fast but it's fast enough to get basic work done. This phone is still great. You can go to cellunlocker.net and get a network unlock (I just did this and I got a result in 2.5 days). eBay has these at prices that are fairly inexpensive. I think I paid about $90 for mine with dock. 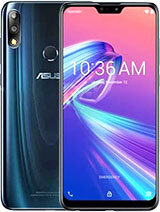 You can unlock the bootloader and get the ASUS Padfone S ROM to install on a Padfone X (instructions at XDA Developers site). It's easier than you think. Aledrus, 19 Jul 2017Anonymous & Sykes, I also wanted to buy the tablet alone from DirectD in Malaysia, they ha... moreSorry to hear that. Perhaps that Marshmallow update for Padfone S / S+ did not focus on the tablet side. I also have Asus Fonepad Note 6, out of the box OS was 4.2.2. when upgraded to Lollipop 5.0 OS, the Pen function (crop/cut/paste, scrolling via hovering above screeen, etc) not functioning. I went to Digital Mall PJ Asus Authorized Service Ctr to downgrade. Had to pay RM50.00. Alan Sykes, 26 May 2017Dear Anonymous, I am from Malaysia. 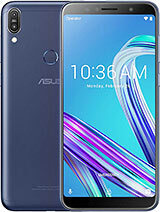 I also bought the same model; Asus Padfone S Plus, last... moreAnonymous & Sykes, I also wanted to buy the tablet alone from DirectD in Malaysia, they had it advertised in Lelong.com.my. I called & emailed them and they confirmed that it was out of stock. That was in end of June. I have since bought a used tablet on eBay, shipped from the UK. I used a Padfone2 before, the Padfone2 charges the phone from the tablet. The Padfone S doesn't seem to be charging from the tablet, even when switched to Phone Preferred Mode I don't see the green lightning on the phone battery at the top. Maybe its a Marshmallow thing. Purchased this phone March 2015 and still working good now. Not laggy in everyday use (browsing, downloading, social media, messaging, reading documents etc) and gaming is powerful enough for me (I play Cytus, osu! And other rhythm game and never lagging). The only flaw is the phone sometimes restarted itself, but I don't really mind since it boot up moderately fast (faster than zenfone 2). 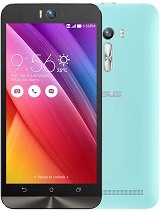 This phone is underrated i think for a 2014 phone and still better than newer zenfone 2 2gb ram, performance wise with same price. Alan Sykes, 26 May 2017Dear Anonymous, I am from Malaysia. I also bought the same model; Asus Padfone S Plus, last... moreYes, the tablet dock and keyboard are bought at Direct D, but the tablet dock is sold out, left the keyboard. I am from Malaysia. 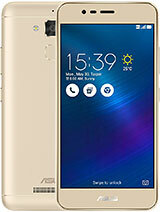 I also bought the same model; Asus Padfone S Plus, last year. I am currently looking for the tablet dock & keyboard. please tell me where did you purchase the accessories? is it DirectD store? or somewhere else...please help. Blackt3ars, 17 Feb 2017I just bought xiaomi redmi note 4 and now i have asus padfone s as well. Yes if it ia in 2g... moreI agree. My phone is not rooted but no problem with mobile legend highest setting. The best thing is I can install and run tablet only app even without docking. Forgot what app but cant install on my other phone. Yam, 06 Mar 2017Hey someone please me that, when the phone cover with case does it able to insert into the doc... moreYou need to remove case before docking. And you cant use thick screen protector like tempered glass. mark from lots of docking. Almost 2 year use and not too visible. But it may be because dust while dock. Remember back last year around May, I able to get the 3GB RAM, 64GB version (only left white color version) for around Myr 549 (around USD 127), this phone considered is a steal with 64GB internal storage, and also has micro sd card slot. After manually updated to lollipop, this phone performance is phenomenal. Only down side is the phone battery life, barely last till 5pm if turn on 4G, and continues used. SD801 processor will overheat if push too much, especially playing heavy game. I also bought the tablet dock (myr299) and it's Bluetooth keyboard (myr149), which can hold the tablet dock. The thing that left me unsatisfied the most is the performance drop to half after dock into the tablet dock, and the tablet speaker are so weak. The keyboard also has serious lag when inputting text, regret to buy the accessory together. At last, after few weeks, I sold the whole package to a friend, who very much appreciate such versatile setup, and impress with the 64GB internal memory at such price. He is very happy with the purchase, and the versatile tablet/phone setup help on his business. He only have to save document into phone, then can show at tablet size screen when needed, no need separate device, and save time for the file transfer. However, the tablet dock is so thick and heavy. All in all, this is a rare affordable versatile phone/tablet concept is pioneered by Motorola (around year 2011, Motorola Atrix, which has a docking accessory to transform phone into a mini laptop), then ASUS polish the concept 1st with their Transformer range of tablet/netbook keyboard hybrid, and finally comes to Padfone, but is obsolete by ASUS them self where sales is not good on these device. 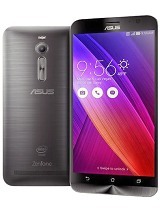 ASUS didn't continue to invest and polish this concept, they focus on the Zenfone series. On this year, the transformer concept is succeeded by Samsung Galaxy S8/S8+ Dex dock. All in all, phone will is better to focus be phone alone, tablet is tablet, laptop is laptop. 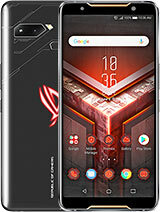 These hybrid concept seems less appreciated by the market, even my friend who bought from me get shock with this Padfone concept, just because I post on FB, and he become interested and never heard before such device exist in the market. All in all, this phone 3GB/64GB white version alone still selling at myr 699 at online store. Considering the feature and storage option, this is a better buy than a Xiaomi Mi4 (which don't has 4G), and HTC Butterfly 2. Of course, at it's selling price now, is flooded by Xiaomi Redmi Note 3 and 4.